We all love to watch movies and TV Shows, but it is a hard to find an App in the App Store that provides them for free. And that's one of the main reasons iOS user jailbreak their devices. The App Contains all the New updated Movies, series, cartoons and Animes with the option to add Subtitles of your choice and in all languages which is really one of the best futures of this App. and the option to download Movies so you can play them later without a network connection. The App works on all iOS devices iPhone, iPad and iPod touch runing all iOS version from iOS 7 to iOS 9 - 9.2.1 / 9.3 and without a jailbreak. So to get the App all you need is follow the steps below carefully and you'll end up having one of the best Free Apps to watch Films and TV Shows without a jailbreak. a notification will show up, tap Clear to confirm it. 3. Step: Go to the App Store and scroll down till you find your Apple ID tap it and Sign Out. 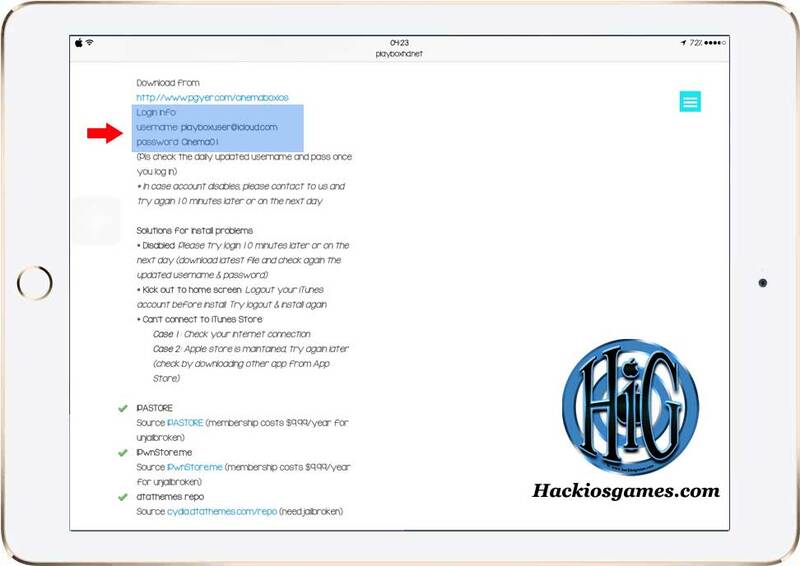 and use the copied Login info to sign in to the App Store. 7. Step: Once you sign in you will get a notification that your iTunes Store will be switched depends on where the Apple ID you used was registered, in this example we got the Canadian iTunes Store. Tap OK. Note: . If you got the message saying the Apple ID is blocked, you'll have to wait for a couple minutes and go back to the link in STEP 4 and you will find that they updated the Login info with a new Apple ID. 8. 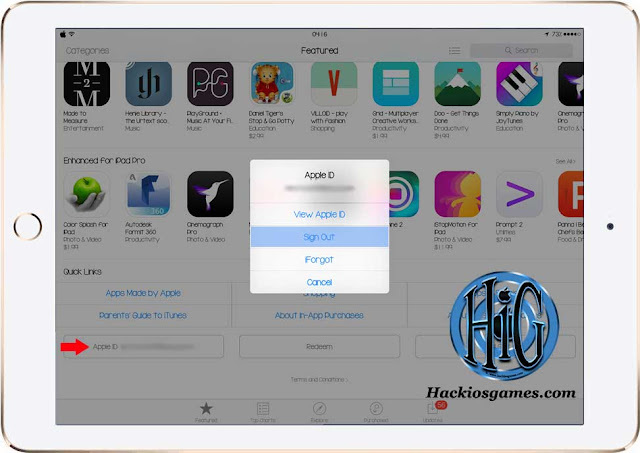 Step: Now in the App Store, download any small App or Game to verify that you have the access to download Apps using that Apple ID. 8. Step: Tap the Install App green button wait for the install notification to show up then tap Install to confirm it and tap the home button and you'll see the Cinema Box App starting to download. 9. Step: Once the App installation is finished, open it to make sure it's working then kill the App (Double tap the home button and swiping up to close it). 10. Step: Now go to the App Store and sign out from that Apple ID and now you can sign back in with your Apple ID. That's it! 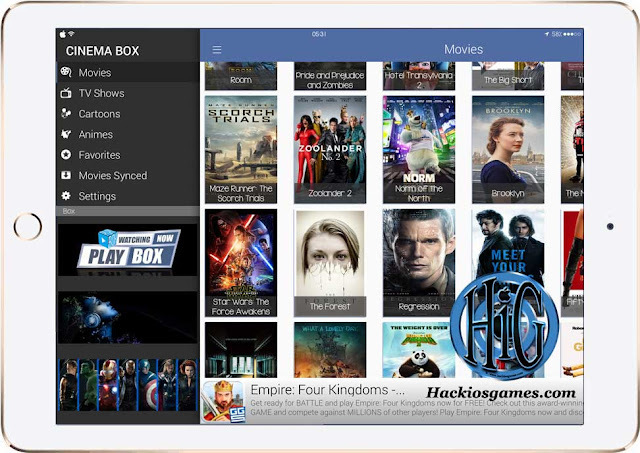 Now you can open the App and start enjoying watching movies and TV shows for free on your iOS device without a jailbreak! check our section for more of best iOS iPhone, iPad and iPod Tips and Tricks for Jailbreak and No Jailbreak. Don't forget to Like us on Facebook, follow us on Twitter , add us on Google+ and Subscribe to our Newsletter to be notified when we publish future articles about the best Cydia tweaks and latest news concerning the next untethered Jailbreak utility.